Sreening cases for merit. Providing expert opinions based on nursing experience. Assessing for standards of care, missing information, research information significant to cases. 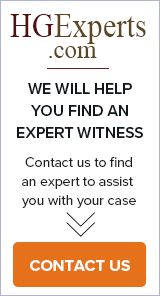 Identifying expert witness. Southeastern Medical Case Management & Rehab Services, Inc.
Hospice Legal Nurse Consulting: Experienced in defence of Medicare/Medicaid Fraud, Whistleblower and Wrongful Death claims. Expert forensic review, eligibility assessment and finding summaries. Capped rates for cost efficiency. Krista Dillon is an active practicing Registered Nurse with over 15 years experience. She is also a legal nurse consultant and expert witness for over 5 years. She has worked in Medical/ Surgical, Critical Care Unit, and Cardiac Cath Lab. She has reviewed and consulted on both plaintiff and defense. Our experts have overlapping experience in Emergency Room, Pre-Hospital, Nursing, Paramedic and Firefighting, Cardiac, Medical, Spinal Cord Injury, Pediatric, Geriatric, Domestic Abuse, Violence, Sexual Assault, Sexual Battery and Trauma. All are instructors of ACLS, BLS, CPR, PALS and ITLS. Trinity Medical Consultants is a professional consulting organization that provides specific services and training to clients such as: Attorneys, Healthcare Providers, Physicians Associations and others. Trinity's consulting team is comprised entirely of cultivated professionals.